We are honored to be the first in the Czech Republic to present the work of Sean Scully, who is considered the most important and respected abstract painter alive today. Sean Scully was born in Dublin (1945), grew up in London, and went to America in 1975. Today he lives alternately in Europe and mostly in New York. He studied painting at the Croydon Collage of Art in London and at Newcastle University in England. In 1973 he was awarded a graduate scholarship at Harvard University and ten years later a Guggenheim Fellowship scholarship. He earned his honorary degrees and doctorate in art at the Massachusetts College of Art in Boston and at the National University of Ireland in Dublin. He was twice nominated for the Turner Prize in Britain, in 1989 and 1993. In addition to his numerous solo and group exhibitions throughout the world (the most recent examples include the Metropolitan Museum of Art in New York and the Venice Biennale 2015) and representation in the world’s most important collections, it is worth mentioning that there has been unusual interest in his work in China recently. After major exhibitions in Shanghai and Beijing, his second wave of exhibitions were launched at the Nanking Museum of Art in April, after which a great presentation of Scully’s works will be held in September and October in the Guangdong Museum of Art. This will all culminate in an exhibition to be presented in the Hubei Museum of Art at the beginning of next year. The magazine Harper’s Bazaar Art, which promotes artistic dialogue between East and West, honored Scully in March with the award for International Artist of the Year 2015. The important critic Philip Dodd regards the conjunction of Sean Scully with Eastern culture as natural and expected, since Scully is predestined for such a “dialogue”. There is no better Western painter who could participate in such a dialogue, because dialogue is at the heart of his work: a dialogue with the everyday world around him – the traditions of art in the West, from Velázquez to Matisse, but also with the cultural traditions of Asia. 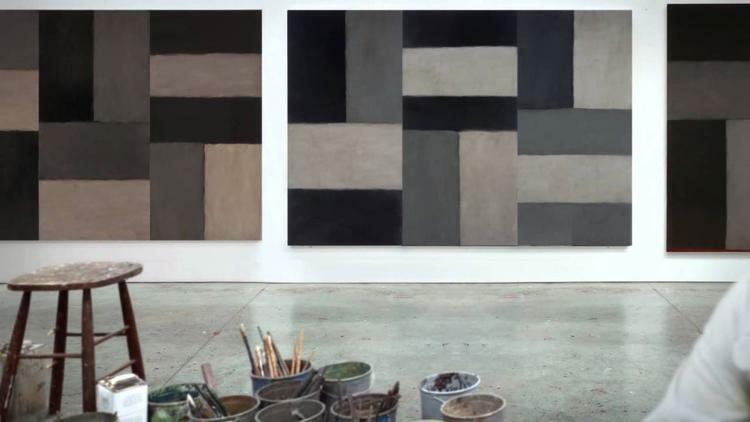 Sean Scully perceived Zen as very important, as he does the Book of Tao and theoretical physics; he has practiced karate for thirty-five years with all its philosophical resonance. The art of Sean Scully draws on a variety of historical and cultural influences of places that held fundamental meaning for him at various times. He finds inspiration in many features of European culture, from medieval Greek architecture to the domestic Irish rural setting. There are a number of references to traditions and a Christian upbringing that have influenced his work, as well as everyday life. He also successfully responded to the reflection of abstraction in the United States. His paintings can be seen as a link between the painted drama and great visual delicacy, as an ongoing dialogue between intimacy and monumentality. The predominant motif of Scully’s abstract paintings are stripes and blocks of layered colors. He has chosen geometric form as the language of his works, which for him is the essential structure for an expressive physical expression of color, texture, and light. In his simplified rhythmic compositions in which he uses repetitive patterns – squares and rectangles – his works resemble architectural motifs (doors, windows, walls, etc.). The intimacy of Scully’s creative process, in which paint is layered while he manipulates it using brush strokes and sensitivity, offers a very sensual and tactile materiality while colors, often subtly harmonized, evoke deep emotional associations. Scully is not afraid of romantic ideals or the possibility of personal revelation. He offers us a powerful testimony, a poetry that brings both pain and joy. As he himself says, “I want to form an abstract painting which would be able to talk about things”. Sean Scully’s work is a true testimony of an artist who does not succumb to the influences of the age. Summers presents a focused work in which rigor and a certain intransigence have their place. An emotionality full of life imprinted on the brush strokes uses them to create a delicate rational structure. The exhibition at the Gallery of Contemporary Art and Architecture at the House of Art in České Budějovice hides an exhibition entitled “The Body and the Frame”. Within its spatial possibilities, it offers a more intimate cross-section of Scully’s creations. For many, the presence of a figurative drawing may be surprising, but it has its own justified place here, since before Scully began to devote his energy to abstraction, he first studied figurative painting. The bases for the overall concept of the exhibition are mostly large-format paintings from different periods, but photographs as well – an integral part of the artist’s work, and drawings (sketches) – as a study of one of the sculptures, which Scully has occasionally focused on in recent years and which, due to their dimensionality, were unfortunately not possible to present. This is not a didactically structured exhibition, but an extraordinary opportunity to look into the genesis and spirit of Scully’s works that manage to excite the senses in a way that goes beyond words.